Samsoft VideoPlayer extremely easy to use program. It was developed using new technologies (WPF). VideoPlayer offers video, audio and image files. He has built a set of codecs. The company Samsoft something other views of the world. That's why programs VideoPlayer new custom simple interface. 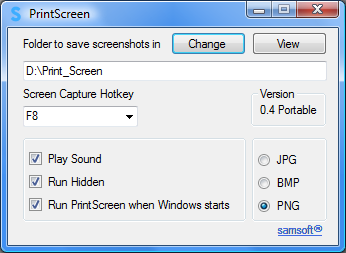 samsoft® PrintScreen 0.4 Portable released.